Netanyahu’s team, which wants revenue from land sales to fund infrastructure projects, could strip the Jewish National Fund of tax exemptions. The government and the Jewish National Fund (JNF) have still not struck a deal over Jerusalem’s demand that most of the money from certain land sales go the state to fund infrastructure projects, not to the JNF. The dispute refers to land sold by the Israel Land Authority, a state agency, on behalf of the JNF. Normally, all the revenue from such sales goes to the JNF, a nonprofit organization founded in 1901 to acquire and develop land in Palestine on behalf of the Jewish people. The JNF’s chances for preserving the current system are not considered good. In any case, according to the draft 2015 state budget approved by the cabinet last week, the JNF would transfer at least 65% of its revenue from such land sales to the government. This transfer is expected to amount to between 700 million shekels ($213 million) and 1 billion shekels annually in the coming years. If the JNF, also known by its Hebrew name Keren Kayemeth LeIsrael, refuses to get on board, it could lose a number of tax exemptions starting next year. The government’s plan is part of this year’s version of the draft Economic Arrangements Bill, legislation that accompanies each budget bill. Despite the long odds, the JNF is expected to lobby to have the provision defeated in the Knesset. The JNF said it would study the government’s plan and respond after the Sukkot holiday, which is now over. Foreign Minister Avigdor Lieberman has criticized the cabinet’s decision, which may presage a battle in the Knesset Finance Committee. The cabinet’s proposals include a threat to strip the JNF of tax exemptions that could save the organization between 300 million and 500 million shekels annually. This threat is considered great enough to force the JNF to agree to a permanent arrangement transferring money to the government for infrastructure. Just before the cabinet considered the budget, attempts were made to resolve the issue. The JNF committed to provide infrastructure funding from the Israel Land Authority, which manages JNF land. This would be funding for several years, but Finance Minister Yair Lapid insisted on a permanent plan that would also include government oversight of the JNF’s funds. The organization refused. Jerusalem then reverted to a formula very similar to its original proposal: An outside auditor would oversee revenue generated from the sale of JNF land. The government also threatened that if the JNF did not agree to a solution, it would lose tax exemptions, including those on corporate tax, dividend tax and value-added tax. In recent years, the JNF has taken in about 1 billion shekels annually from the ILA from the sale of land. That flow is expected to increase in the coming years with the sale of land in the Beit Shemesh area west of Jerusalem. Also on tap is the sale of JNF land hosting army bases due to be moved. The funds to be returned to the state would help build water facilities, sewers, roads and other amenities in residential areas. Part of the plan is to increase the country’s housing stock at a time when the limited housing supply is increasing home prices. The projects have to approved by a committee made up of representatives of the government and the JNF. The government has let the JNF take part in the choice of projects to avoid allegations that the state is nationalizing JNF funds. In any case, funds other revenue from the sale of JNF land, such as donor contributions, would remain with the JNF. The government says JNF lands appreciate in value because of its infrastructure improvements and efforts to cut red tape. It says the JNF therefore must help cover these costs. Jerusalem envisions a single pipeline for the flow of funds from the JNF to the government, unlike the current situation, under which the organization provides some funding for projects at the initiative of cabinet ministers, who ostensibly are then more amenable toward the JNF. Zokhrot, “List of destroyed Palestinian villages on which JNF sites were erected” (October 2006). 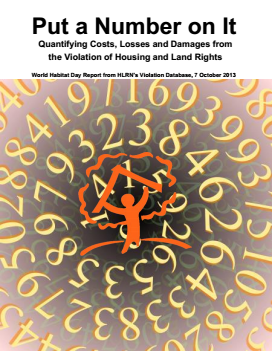 Download HIC-HLRN, The Goldberg Opportunity : A Chance for Human Rights-based Statecraft in Israel, Fact-finding Report No. 13 (Cairo: HIC-HLRN, December 2010). 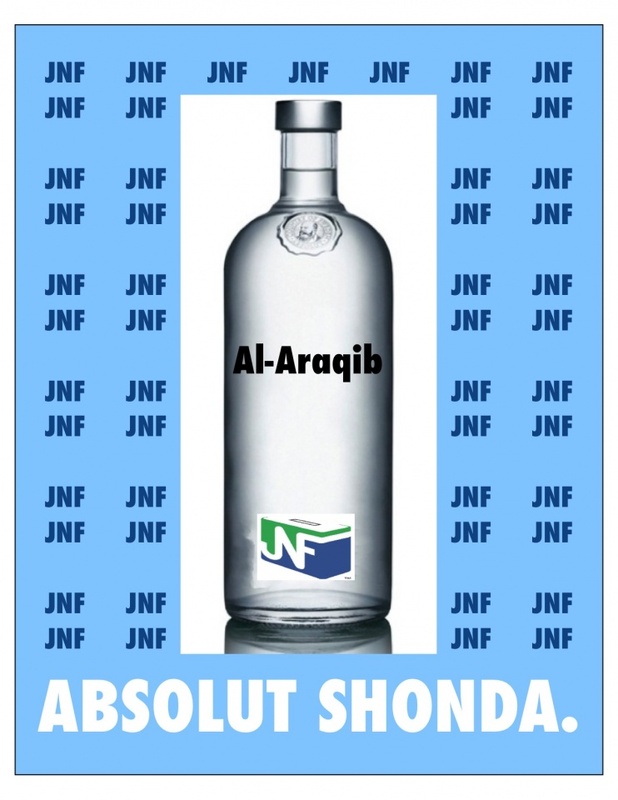 See also: Stop the JNF Campaign. Photo on homepage: JNF bulldozer demolishing al-`Araqīb village (al-Naqab) for 9th time (January 2011). Source: Jewish Voice for Peace.